The future of work is about being more human. Somewhere beginning 2010 I got introduced into the subject of Lego ® Serious play ® by Olaf Lewitz who was trained in Germany as a certified facilitator. It stroke me as a very powerful toolset to improve team collaboration and problem solving process within a safe and friendly environment. This encouraged me to continue reading and experimenting with the technique in various contexts of which I learned its results can go from excellent towards fine towards useless depending on the culture of the people, complexity of the issue to tackle and willingness to accept the results within the group. 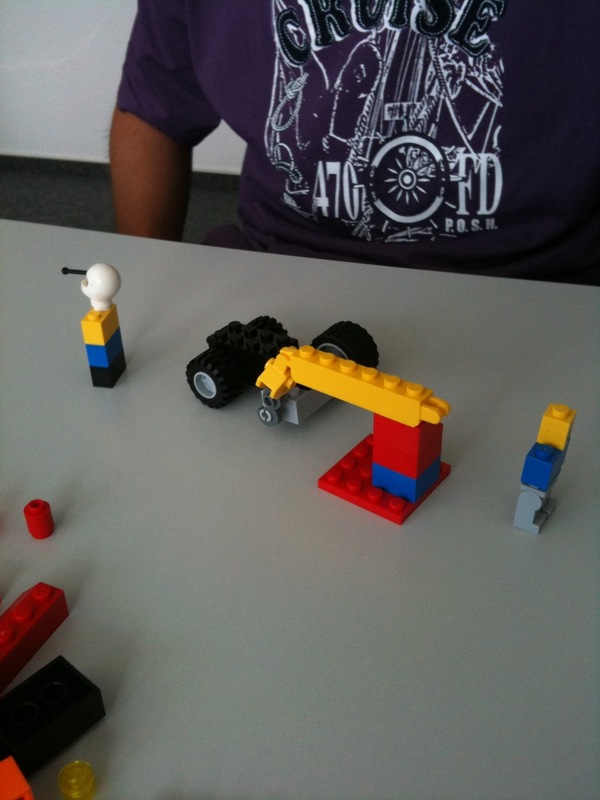 Out of all those experiences I just felt I had to share the use of Lego ® Serious play ® to facilitate Agile Retrospectives as they are key to the continuous improvement culture within a Lean & Agile organization but so difficult to keep interesting over the years. Having a retrospective every week (weekly cycles/sprints/iterations) means that you’ll have about 52 workshops to facilitate! Each one of them you’ll have to keep interesting, collaborative, constructive and energizing. This is not an easy task for teams doing iterative development already over more than 6 years and Lego ® Serious play ® could bring some variation into your meal. Similar to my Innovation Games & Value Stream Mapping blog posts I’ll try to layout a retrospective workshop as I know they work out fine for teams. In this post I’ll focus on some simple things to facilitate the gathering of data from the last iteration. Step 1: Prepare the room and make sure you have enough Lego ® at hand for all attendees, just as if you would prepare any other Agile Retrospective workshop for the team. Step 2: Ask the participants to build a Lego ® sculpture of what was bad in the last iteration and give them 10 minutes (use hour glasses like these ones) to do so, in silence! Step 3: Go around the group and let all of the people explain what they have build to the others. See examples below. –> This sculpture represents a person that wanted to highlight that the team had successfully build all the pieces (wheels, body, back, steering…) but nobody tried to get the whole thing together. – missing integration testing. –> This sculpture on the other hand is presenting a car where there is a missing wheel (= missing component from e.g. framework team) but where the team has build a crane (workaround) and for the rest everybody is looking away of the problem (2 persons looking away). –> This sculpture presents the software that has been build over time in the layout of a rocket, build by rocket scientists. You’ll notice that the boosters are too small to really get the software launched. You might have noticed that the design patterns (red-white) are not considered in all the cases (green/orange) representing the gaps in the architecture and design. And most of all the launch ramp is missing, the basics are not there apparently. We build great software but we miss the take off. Step 4: Group the idea’s represented in the sculptures and continue identifying root cause(s) and related actions items. Remember: keep it focussed so do not try to fix all issues at once and keep it to a very limited set of action items (2-3 max). I can only hope this kind of play might have given you energy and inspiration to try things yourself and hope to see you in one of our upcoming company/team play courses like the Innovation Games ® & Game Storming class mid of March. 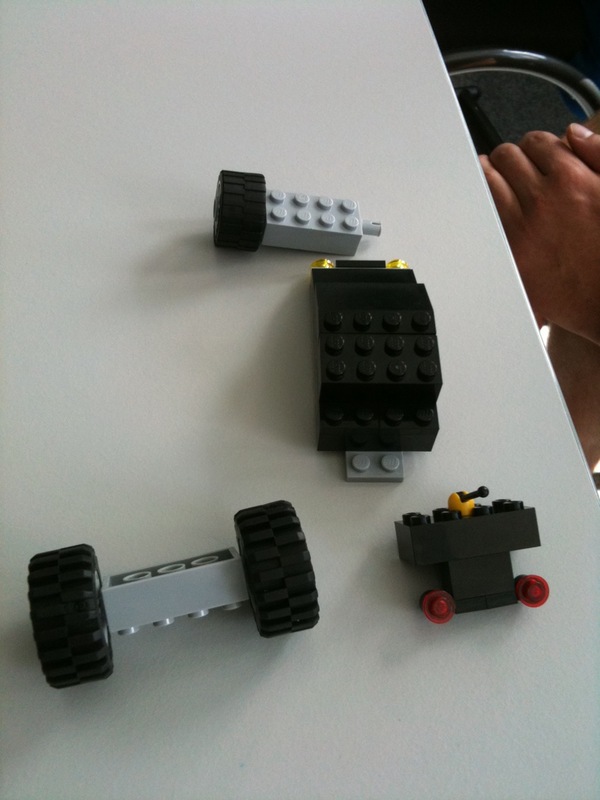 Update: #fail — Big thanks to Thorsten Kalnin for sharing the pictures and its comments/outcomes, Thorsten is these days a certified Lego Serious Play facilitator and passionate in using this technique in all different scenario’s. Next to Olaf a person that inspires me and triggers my learnings within the Lego domain. Love it… did you use the Serious play lego set or just a normal set ? Used a normal set for most of the retrospectives I did, generally using (& giving) a serious play set for introduction of the technique. 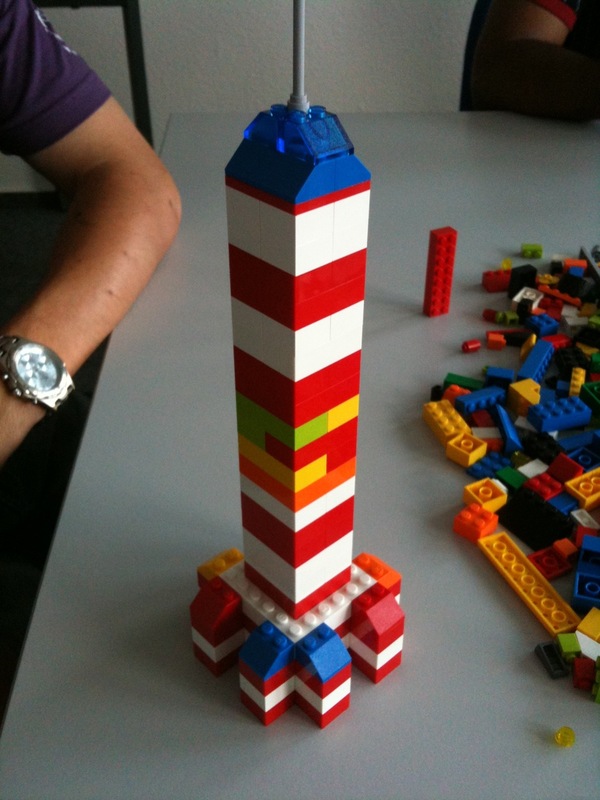 I just tried this activity with my team, using normal lego’s..worked great. The team came up with very creative sculptures, explanations were entertaining, thought provoking, and helped the team dig deeper. We came out of the retro with a really great action item as a result..thanks for sharing! !